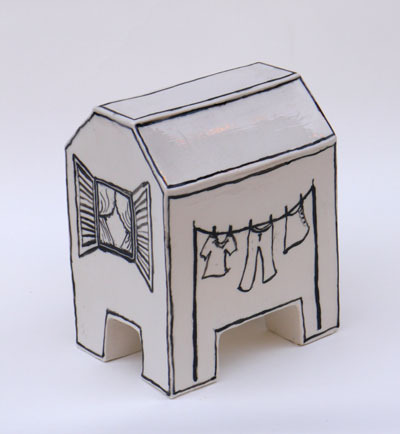 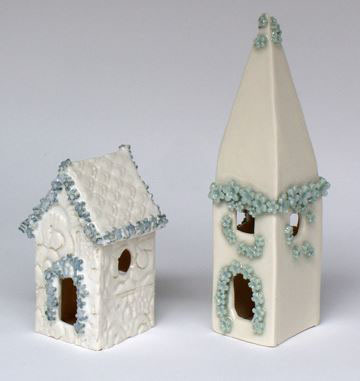 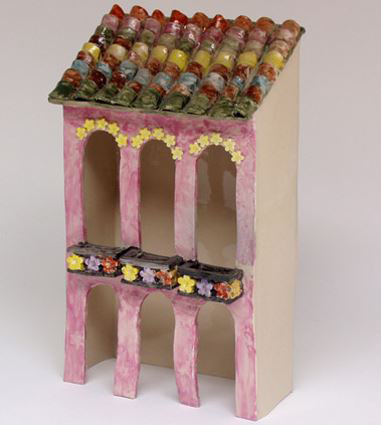 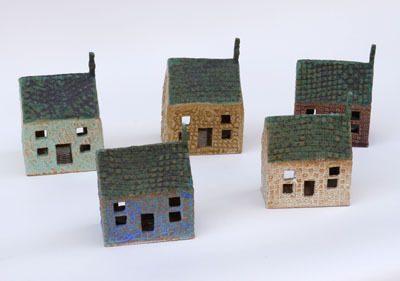 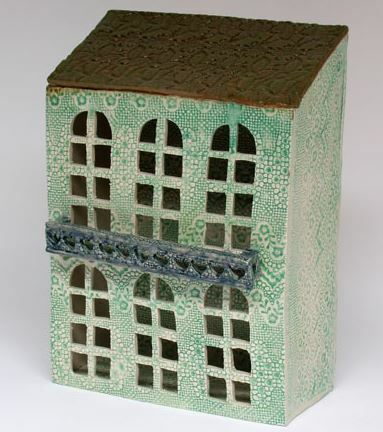 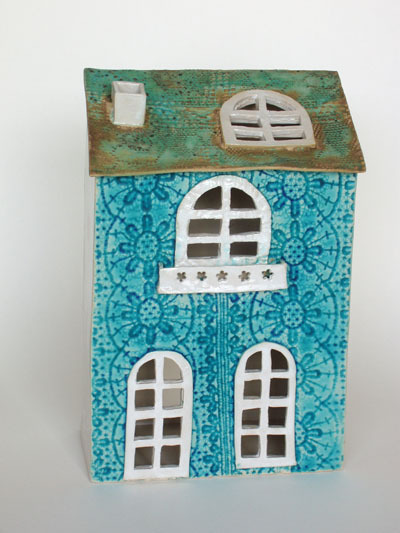 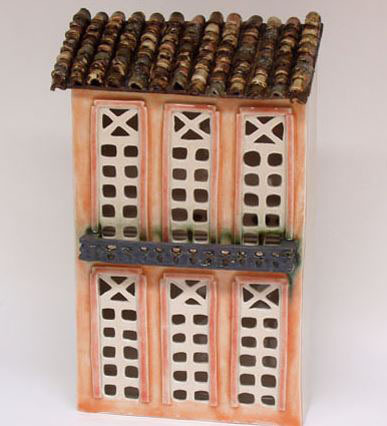 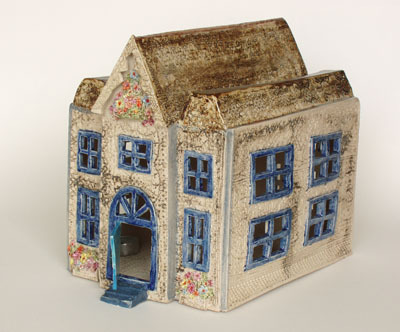 My hand built porcelain houses vary in size from around 100 mm long to large models over 300 mm long. 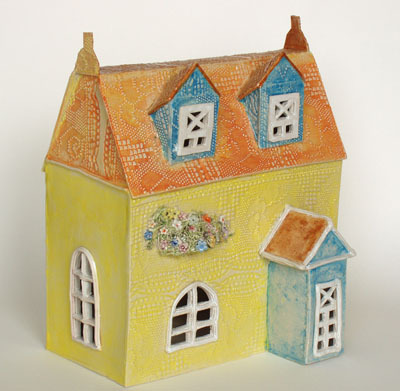 I create them in a variety of styles. 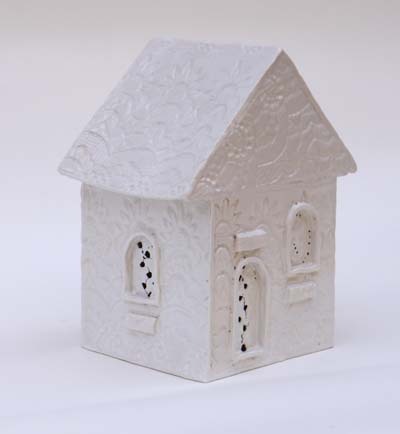 The houses can have a light or candles installed within so that the translucency of porcelain is captured.